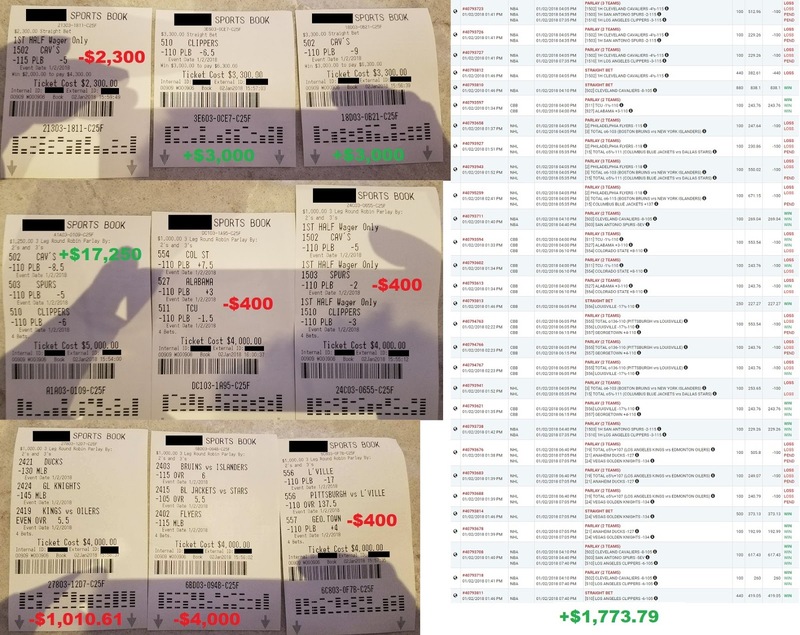 I Just Won over $82,000 in 2 Weeks of Betting on Sports! 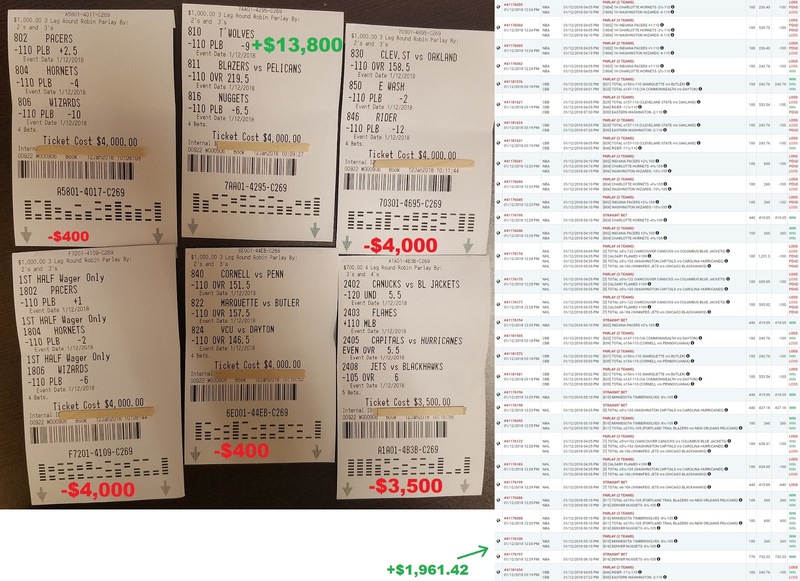 Yesterday on my 4th consecutive winning day, I wagered $32,970 of my own money on my picks, and cashed out $36,431.42 for a winning profit of $3,461.42. So far for 2018, I’m up +$39,271.76 in profits from betting on sports. Since December 30th, I’m now up a grand total of +$82,554.62! And the winnings are all real. Unlike the typical touts who like to draw up fancy charts showing you how much you can hypothetically win if all the stars just theoretically align, I prefer to do things differently: I want you to judge me not based on my words, but based on my action. Every day, I continue driving out to the sportsbooks and betting tens of thousands of dollars of my own money on my picks to prove to you that I can make a fortune from his craft. Simply put: I would not be doing this if I wasn’t certain that I would win. Literally, I have a million other better things to do with my time and my money than to be betting hundreds of thousands of dollars every week on sports if I wasn’t absolutely sure that I’m going to win out. On Thursday January 12, On Sunday January 7th, I wagered $32,970 and cashed out $36,431.42 for a net profit of nearly +$3,461.42! 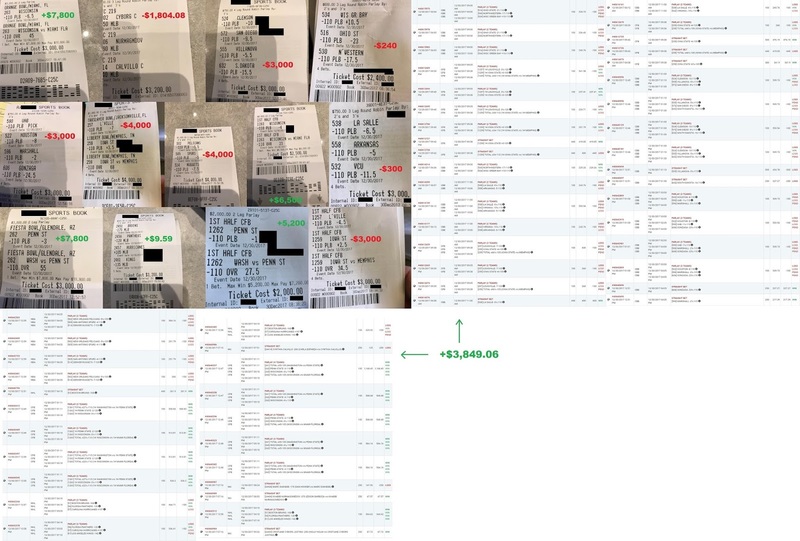 On Thursday January 11, I wagered a total of $23,110 on my picks, ended up cashing out $33,756.02 for a profit of $10,646.02 in one single day of betting on sports! 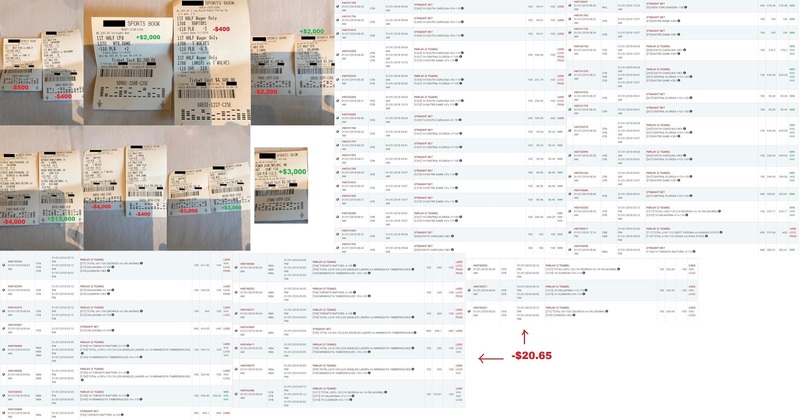 Here are my betting tickets. On Tuesday January 9th, I personally wagered $17,060 on my picks and ended up cashing out $26,096.94 for a net profit of $9,036.94 in one single day! On Monday January 8th, I wagered over $22,000! 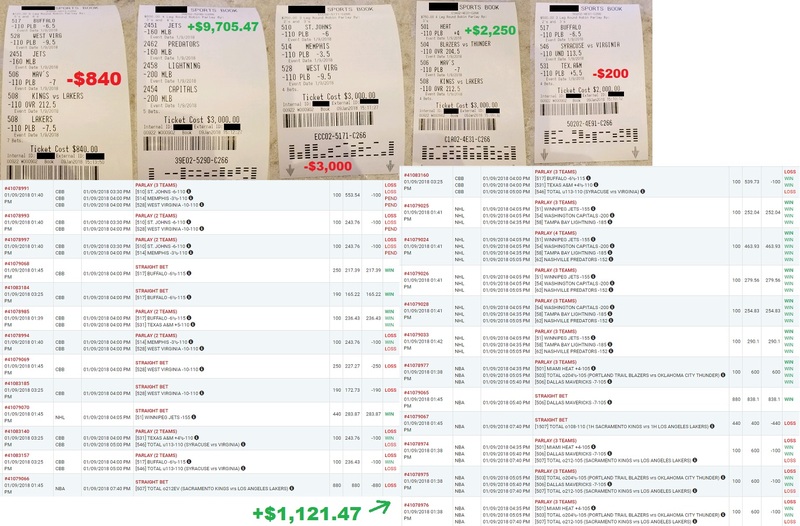 On Sunday January 7th, I wagered $33,980 and cashed out $41,078.27 for a net profit of nearly +$7,100 in one single day of betting on sports! 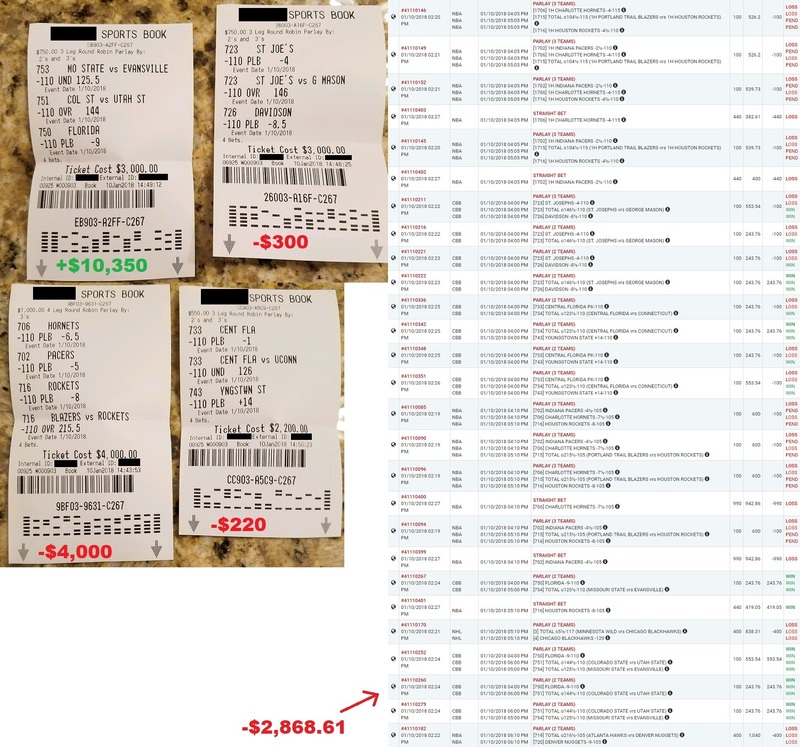 On Friday January 5th, I wagered over $38,000! On Thursday January 4th, I wagered over $50,000! On Wednesday January 3rd, I wagered over $59,760 and cashed out over $98,548.96 for a net winning profit of $38,788.96! What you’ve seen right before your eyes in the last 2 weeks where I’ve won more than $82,000 is a preview of what’s more to come​​!